Innocent mobile phone cleaner, or secret CIA spying device? One of the faculty at work, Deborah Blum, gave me this. 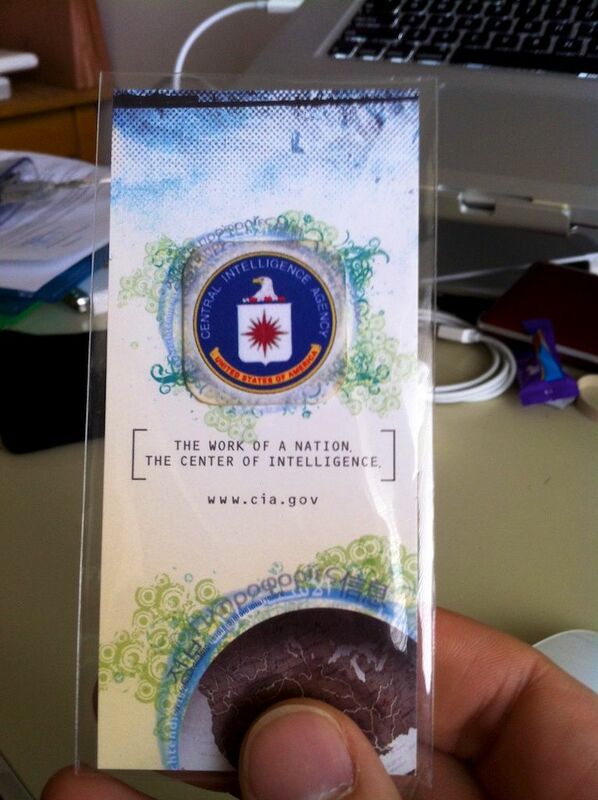 Apparently the CIA was recruiting at a conference she was at. It seems harmless enough. A little microfiber square to clean your phone screen with and when you are not using it just stick it to the other side of your phone for safe keeping. Could this harmless cloth contain a secret CIA bugging device to monitor all your conversations and movement? There are those who would say so I am sure.